Report an incident to the Office of the Judicial Administrator by filling out an incident report, here. If you do not have a Cornell NET ID, please email judadmin@cornell.edu with your name, contact information, and a summary of the incident. Complainants who have experienced violence or personal victimization may find it useful to consult with the Victim Advocate (607 255-1212). Complainants may also benefit from working with Counseling and Psychological Services (CAPS; 607 255-5155) at Cornell Health. Complainants may bring any support person with them to any OJA meeting. Every effort will be made to evaluate your report promptly, however, the timing and manner in which the University responds to the report will vary depending on the information provided. You are highly encouraged to contact the Office of the Judicial Administrator to provide supplemental information about your submission, or to ask any questions about the status of your submission. The Office of the Judicial Administrator is located in 120 Day Hall, and is open Monday-Friday, 8:30 a.m.-5:00 p.m. Additionally, the Office of the Judicial Administrator may be reached at: (607) 255-4680, or judadmin@cornell.edu. 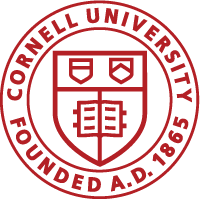 While a Cornell NET ID is required to complete this form, please contact the Office of the Judicial Administrator if you wish to submit a report but do not have a Cornell NET ID. FOR EMERGENCIES, INCLUDING SAFETY CONCERNS FOR MEMBERS OF OUR COMMUNITY, CALL CU POLICE AT 607-255-1111 or DIAL 911. FOR HEALTH CONCERNS CALL CORNELL HEALTH AT 607-255-5155.